Looking for information about Allenburys Milk Cocoa. I have a photo of my mother as a small child drinking the above & she told me that this was on the wrapper of the tin of cocoa. 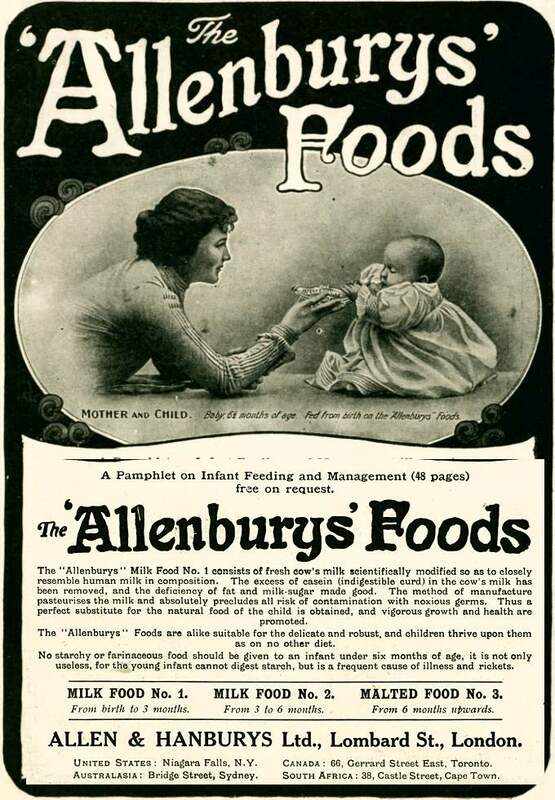 I understand that her father worked for Allenburys at the time - around 1918. I have not been able to find an example & would appreciate any further information.